Yesterday was quite a bizzare day. 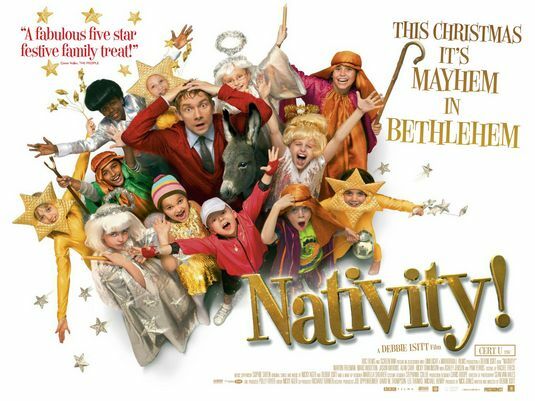 I went to the cinema with my mum, sisters, brother and two of my great-aunts to see the film Nativity! at the Vue cinema in Worcester. I wasn't quite sure what to expect as some critics loved it and some hated it. I can categorically say that I absolutley LOVED it! It made me laugh and cry and wasn't overly sweet which is always good! I think it helped that I could relate to a lot of it after going to Catholic schools all my life. It helped that it was based in Coventry, right next to where I live when I am at uni. :) It might not be everyone's cup of tea but I really like it and the soundtrack is on Spotify too! :D I recommend that next Christmas, you should DEFINITELY watch it as it is a little "pocket of stardust!" :)Does anyone else always want to sleep after they have been to the cinema? Normally, I go in the evening so I can, but yesterday it was a fairly early showing so we had finished by lunchtime- it really confused my body, that's for sure! It was really strange seeing the contrast of the fiery orange sun and the frosted white of the ground. The sun set really quickly when we were out and we had to take some pictures before the light completely went. Now I am supposed to look like my sister...what do you think? Ooh look I made a friend! "You've got a..moustache" "Yeah, I know....!" Have any of you been out in this frosty weather? What are your favourite foods to eat when it's cold?